The map above shows what Westeros (from Game of Thrones) might look like at night if it could be viewed from space. In the North you can see the lights along The Wall. 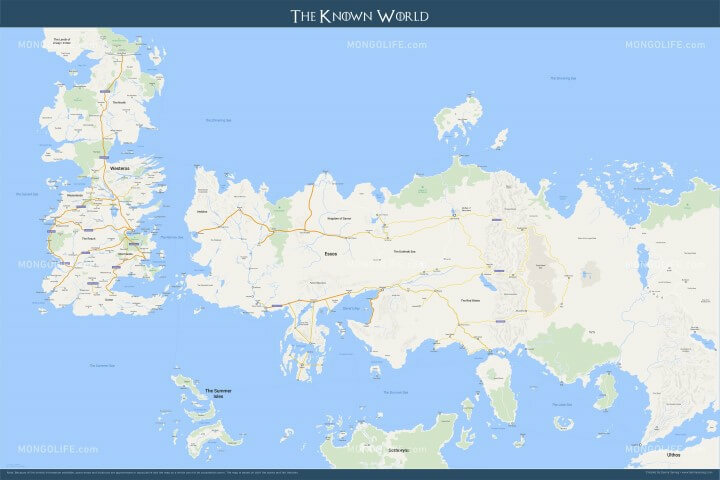 The map above shows the entire ‘Known World’ from Game of Thrones including Westeros and Essos in a Google map style. 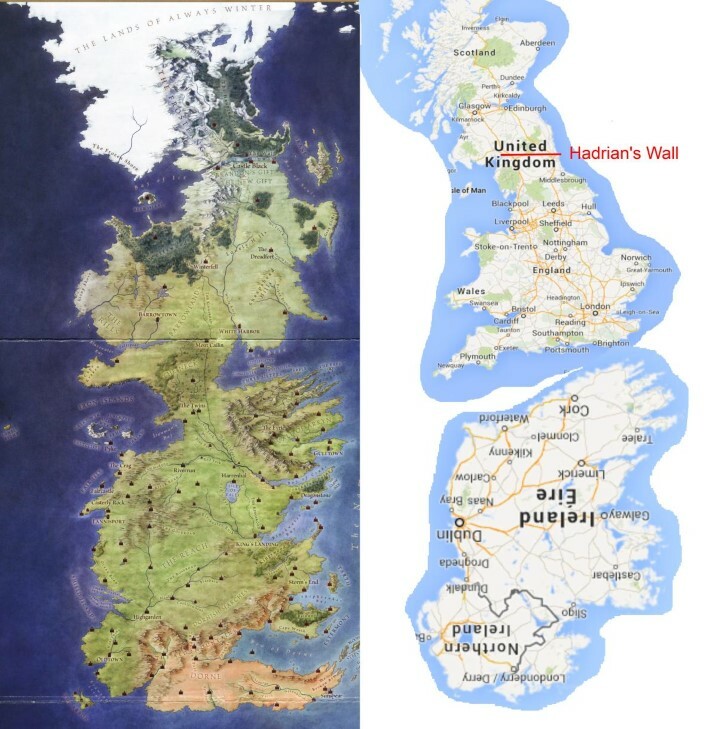 The map above clearly shows that Westeros, from the Game of Thrones TV series and the Song of Ice and Fire book series, is nothing more than Britain placed on top of an inverted Ireland.